Ships from and sold by Amazon.com. Gift-wrap available. 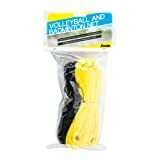 Sold by: All Volleyball, Inc.
Amazon's Choice recommends highly rated, well-priced products available to ship immediately. 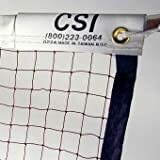 Amazon's Choice for "volleyball net"
Note: Available at a lower price from other sellers that may not offer free Prime shipping. Make sure this fits by entering your model number. Ships from and sold by Amazon.com. Please make sure that you are posting in the form of a question. 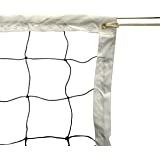 Keep the Mikasa VBN-2 volleyball net handy for games in the backyard or the beach. 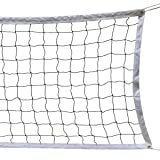 This indoor/outdoor competition-quality net features polyester netting with a strong aircraft steel cable. It's specially treated for long life and can stand up to the harshest climates and hardest spikes. It measures 32 x 3 feet. Domestic Shipping: Currently, item can be shipped only within the U.S. and to APO/FPO addresses. For APO/FPO shipments, please check with the manufacturer regarding warranty and support issues. Manufacturer’s warranty can be requested from customer service. Click here to make a request to customer service. 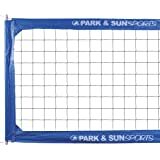 5.0 out of 5 starsGood quality for a backyard net... Kids love it. I would buy it again. 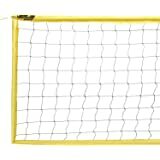 This volleyball net is a backyard quality net that is priced accordingly. 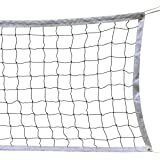 The construction is backyard quality and the net is made of polypropylene string which is not the most aesthetic stuff, but realistically, who cares? If I wanted to pay for the top notch stuff, I would have sprung for a more expensive net. 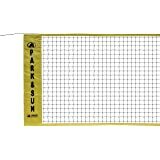 The net stops the ball on the correct side of the net when the kids are playing, and our family has now branched out into badminton using the same net (though the shuttlecocks go right through the larger volleyball sized holes, it still works for our kids who now spend hours in the backyard when the weather is nice). I laid out the court with a tape measure and squared the ends using the diagonals. The court was much bigger than I would have guessed), and pushed flagging tape into the grass at the corners. I bought a 300 lb strap tensioner from a local hardware store (for about $4) which does a GREAT no-fuss job of tensioning the net between the porch and a tree. I use a chunk of climbing rope to hold the other end of the net. 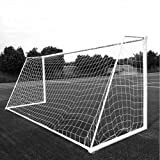 Tensioning the top of the net with just a rope at both ends was tough enough that I never figured out how to do it (YMMV), so I consider the tensioner to be essential. Just don't pull your tree over. I certainly don't worry about breaking the steel top cable that this net came with though. 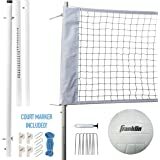 Overall, if you have a volleyball and a backyard, this is a great use of that $25 burning a hole in your pocket. 5.0 out of 5 stars5 Stars, Serving 5! 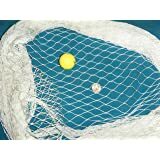 Amazing net for the price! 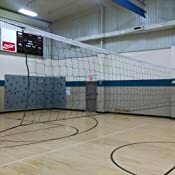 Having never purchased a volleyball net before I didn't know what to expect and had to trust the reviews, and lemme tell you they where right on the money this net is fantastic. 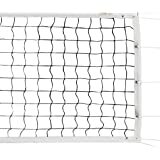 The steel cable is strong and I think it really makes a huge difference when it comes to the look and feel of this net in action. We'll see how well it holds up over time but I am so happy with it out of the package!!! 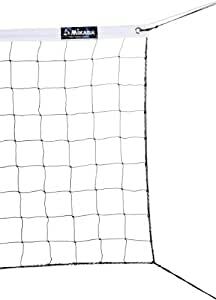 This is a nice sturdy net. It came as described. We put it up for my daughter's grad party - followed some tips others used. (We used 4x4s in buckets of concrete as the posts, so we can move them easily for lawn mowing; still need to anchor them, but it works nicely). 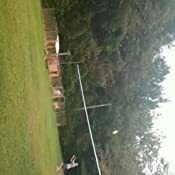 The reason I gave a 4, the net had a hole in it after one party use. ??? Have no idea how that could have happened,,they weren't going crazy at the net?? We just tied the two pieces together. It should be ok, just didn't expect that from a "professional grade" net. This is a great net. 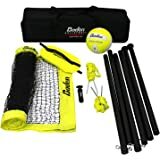 I've been using it for my athletics club at my highschool for about half a year. It's very durable with high quality materials and sticking. It's still holding up day after day.You can use it at a indoor gym, park or even a beach. 5.0 out of 5 starsGreat net. 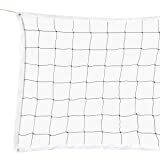 Family loves beach volleyball but hates trying to find an available net. 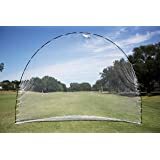 This time we took our own--- bought the above net and I made poles to go with it. (I plan to post a video on YouTube on "how-to".) It performed very well! When hung appropriately, the top cable allows for very strong play C/W a pro net (or close enough). The bottom did not give quite as good play back off the net as I would like, but I did not try to secure this as well as I probably could have. Overall, we thoroughly enjoyed the net and played to our heart's content. I do not have long-term durability testing, but I think it will last well when treated well. Product seemed strong and durable to begin with. 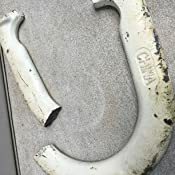 However, less than 3 weeks of sitting outside with almost no (recreational) use, we discovered one morning that the top white material had ripped by the grommet. It’s unrepairabke, and the bet is now completely useless. See what customers said about these highly rated items. Only 8 left in stock - order soon.